Save 20% on this course now. We are offering an EARLY Registration discount on this summer program. Register now. Offer ends Monday March 1. 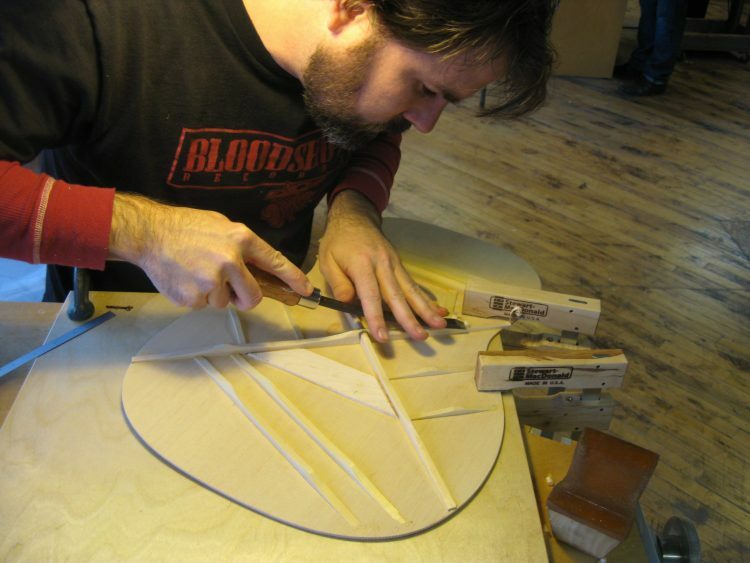 This course offers 80+ hours of instruction and hands-on work toward making your very own 000 style acoustic guitar. 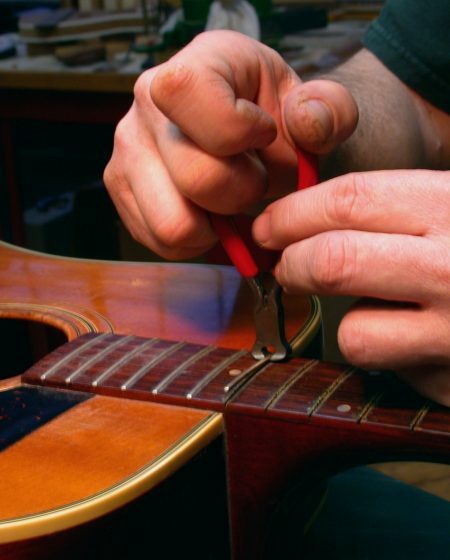 This is a special opportunity for instruction with an experienced luthier. The length of this workshop allows most students to finish making their guitar. However, students work at their own pace and often require more time to complete their acoustic guitar. 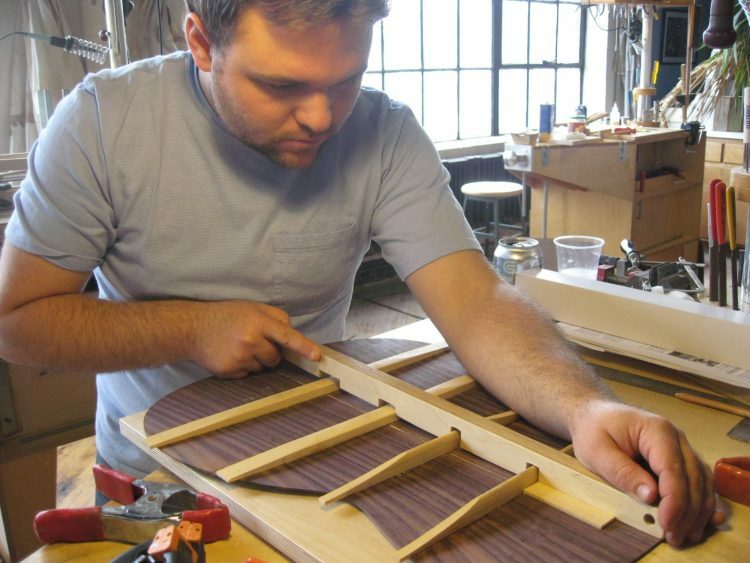 This is a perfect start to learning guitar making with the guidance of Luthier and CSGM school founder Ian Schneller. This workshop is structured to guide the student through every essential phase of the acoustic guitar making process. In addition to constructing the guitar in the Acoustic Guitar Making Workshop, this course includes the Fretting Workshop, Bone Nut and Saddle Making Workshop and Guitar Set-up and Maintenance Seminar where the student can achieve complete precision in the guitar making process. The course also includes 14 hours of Guitar Making Workshops where students may observe various aspects of solid body guitar making underway in the workshop, while continuing on their own acoustic guitar making. Tuition includes lectures, demonstrations and personal guidance, the use of an individual guitar workbench with specialized tools and all of the shop supplies and tooling necessary to complete this project. Students will be introduced to the unique process of luthiery while effectively establishing a skillful approach to woodworking. 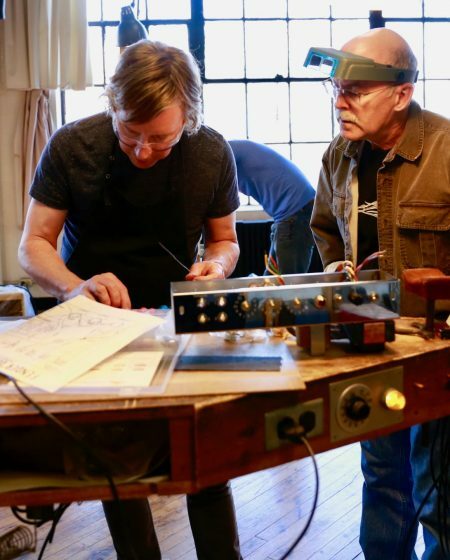 Lectures, demonstrations and guided instruction in this hands on workshop will offer the student an understanding of fundamental and specialized woodworking techniques, while making a high quality musical instrument that will likely become a cherished heirloom. No drawing skills or shop experience required. This workshop is structured to inform the student about every essential phase of making their acoustic guitar. However, students will work at their own pace. Students will make a Rosewood or Mahogany, Martin 000 style acoustic guitar from an excellent kit. Working with a group of partially serviced components, this course is designed both for students with little to no experience and also those with intermediate experience. This class is formatted with lectures and hands on work. In depth demonstrations of each step will precede students working on their instruments. Students will begin the procedure with a sequence of specific steps, alternating between the guitar neck and body work. Once these take shape, the workshop structure accommodates students to work at different paces. Everything needed for making the guitars will be included in the kit and the necessary supplies and tooling is provided by the school. All kits contain AAA-grade tone-woods. Roughly carved mahogany neck. Pre-bent bent sides. Book matched and joined back. Book matched and joined spruce top with pre cut sound hole and rosette channel pre cut. Kits include a full-size blueprint modeled after a vintage Martin. 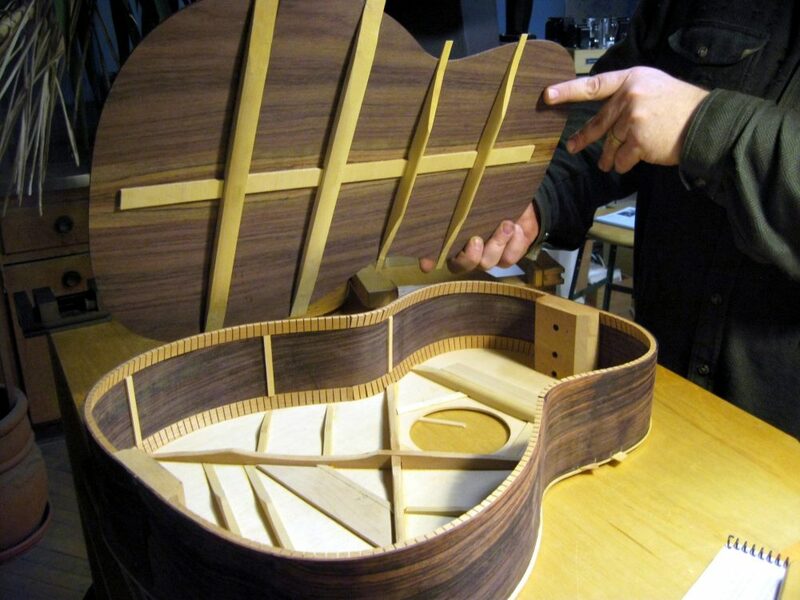 Each student will be given occupancy of a fully equipped luthier’s guitar workbench, and storage for their materials for the duration of the course. 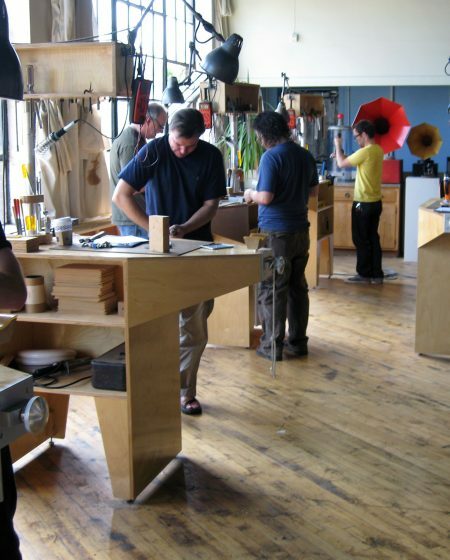 We will go over the tools necessary to create a home shop throughout the course for those interested in taking the artform to a private space. Instrument finishing techniques will be discussed in this course. Students will have the option to have their guitar finished for them by a Specimen/CSGM professional, apply a finish on their own outside the school, or receive instruction in guitar finishing from CSGM faculty in a Guitar Building Session at the school.